We’ve been telling you not to procrastinate, e.g. in this blog post, or gave you tips on how to be more productive (here or here). But let’s be honest, no matter how often you say, “This is the last time! 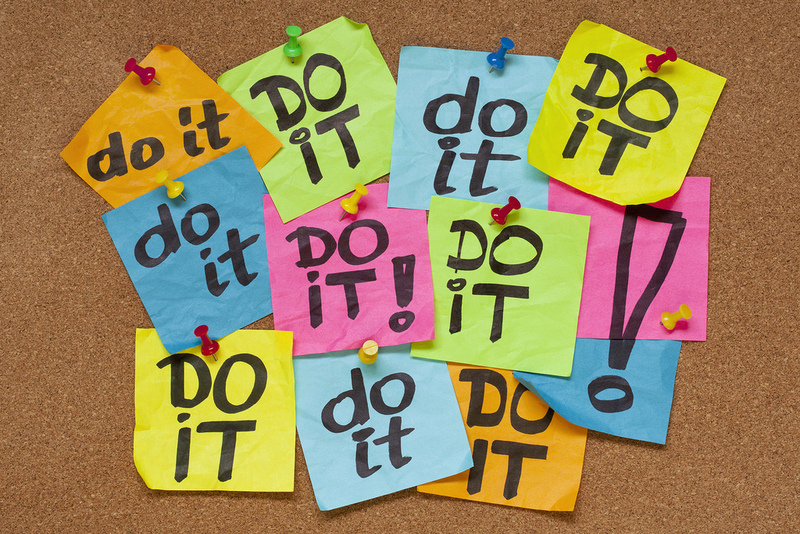 I will never ever, ever procrastinate again, EVER!”, you’re going to do it again and again. So why not make use of it? If you can’t avoid doing it, you might as well do it more effectively. February is almost over, so Time Management month is coming to an end. In our last blog post for the series, we’re going to take look at procrastination – but in a different light. Procrastination is often seen as the big bad wolf who poses a danger to productivity, but you can use this bad habit to your advantage. It’s a fact that people procrastinate, but there can be many reasons why they do it. A tendency to procrastinate is often linked to perfectionism. People who are perfectionists often procrastinate tasks if they think that they can’t do it perfectly or out of a fear of failing. One thing that you can often observe is that people tend to avoid doing tasks that don’t have immediate positive results, i.e. those with delayed gratification. People like to see instant results and gratification, which is why we usually don’t procrastinate tasks like eating as that makes you instantly happier. This is often explained by the fact that whenever we decide to do something, two parts in our brains are activated: the neocortex and the limbic system. The neocortex is a bit like the angel sitting on your shoulder who tells you that you should do something because it will be good for you in the long run and the benefits outweigh the costs. However, the good intentions of the neocortex are often thwarted by the limbic system that says, “You really don’t have to do it now, why not watch this cat video instead?” And often the limbic system wins, because we like instant gratifications more than delayed ones. You can actually get more done when you procrastinate. This might sound counterintuitive, but it’s true. So while you might procrastinate doing that one big task, you might actually manage to finish of the other tasks on your to-do-list instead. Many procrastinators work extremely efficiently as they’re used to work under time pressure. [Tweet this] In fact, a little bit of time pressure can help motivate you. Procrastinators will find the best way to finish a task on time and focus on the most important things instead of getting lost in the details. Delaying finishing a task can help you make better decisions. Often when you’re focusing too much on something you lose perspective, it’s like when you read a word in quick succession it will lose its meaning. By stopping in the middle of the task, you can take that time to reevaluate your work. More often than not, new and often better ideas might come to you. This is why procrastination is also often linked to increased creativity. Research has found out that procrastinators are more creative – or that creative people are procrastinators, the direction of that interrelation is still unclear. Fact is that procrastination facilitates creative thinking. As the above-mentioned research showed, those who weren’t playing a game not being aware that they were procrastinating did not come up with better ideas, only those that were playing that game to procrastinate came up with more creative ideas afterwards. The first rule of effective procrastination, is to do it without guilt. [Tweet this] Instead of feeling bad and constantly worrying about the tasks that you should be doing, actively keep that out of your mind. When you constantly think about the thing that you’re procrastinating, you actually put even more pressure on yourself, and you might actually decrease the chances of ever starting that task. Enjoy the time and do what you actually want to do and enjoy doing. Procrastinating doesn’t mean not doing anything. Sure you could just take a nap or watch that one episode (or 10) of your TV show on Netflix, but you could also do something productive. For example, when you’re procrastinating writing a report, you could do research on it as a procrastination strategy. You can also procrastinate effectively by knowing your daily energy levels. For example, most people feel tired right after lunch. During that time it is better not to do a task that needs a lot of brainpower, do a task that you can do without having to think too much. You won’t quit procrastinating if you reduce your work load drastically. Most procrastinators are actually motivated to do something because they’re aware that there is an even bigger, ‘scarier’ task that they need to do. So it’s actually better to have a lot of tasks on your to-do-list. The trick is to include every, even the most trivial, task in your list. As per usual, the important ones are at the top and the less important ones at the bottom. Now work through your list – but from the bottom up. Effective Procrastination – a Contradiction? - InLoox • Copyright 1999-2019 © InLoox, Inc. All rights reserved.